Whenever and wherever there is a celebration, plenty of colourful balloons are a must! It goes without saying that every party and gathering is incomplete without some catchy decor and so we have shared here a compilation of some amazing DIY balloon arch ideas. These arches are not only fun and creative to make but are also very cost-effective. They will look great as a back drop of a photo booth or as a wall or roof decor for your party. These easy to make DIY balloon arches have the tendency to transform the whole atmosphere from gloomy to happy! 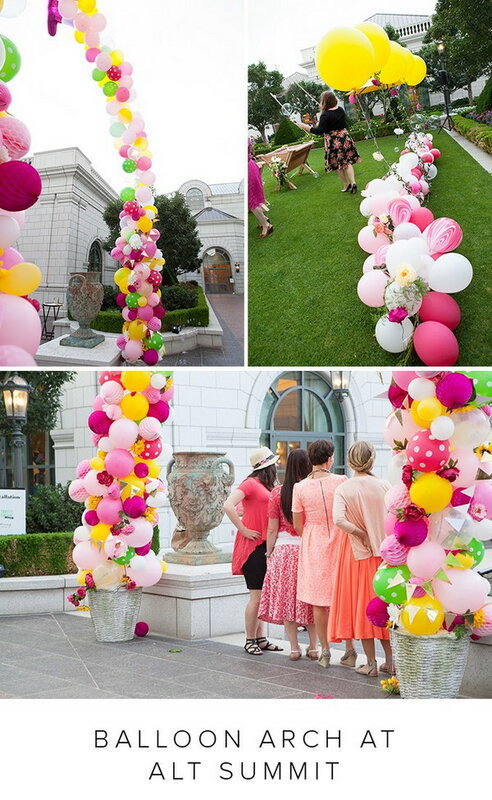 This beautiful fairytale balloon arch is a perfect backdrop for your wedding or bridal shower. With its intricately woven arch and plenty of balloons of all sizes and patterns, it is definite to give a fairytale affect to your party. Little additions like flowers and ribbons to the arch make it all the more sophisticated and beautiful. thehousethatlarsbuilt. This colourful and vibrant balloon arch is definitely what you call easy and beautiful. 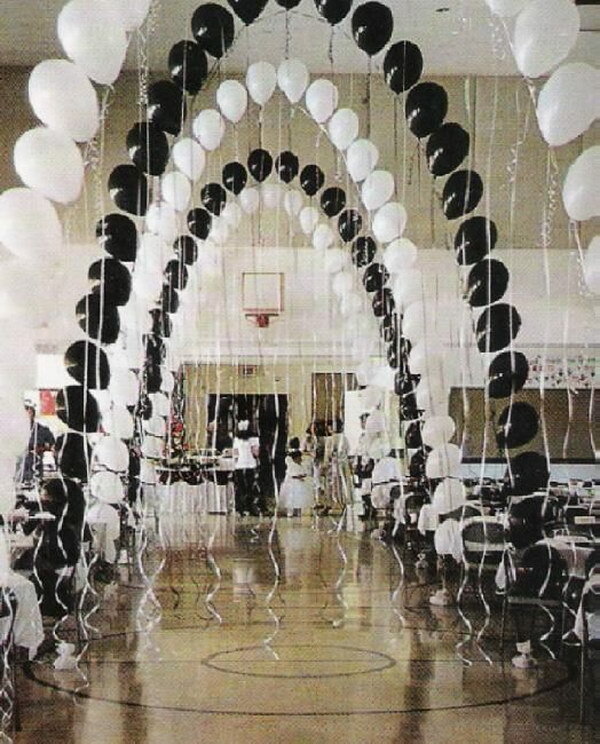 This arch is not only catchy but is also very easy to make with minimum every day supplies and some swollen balloons. 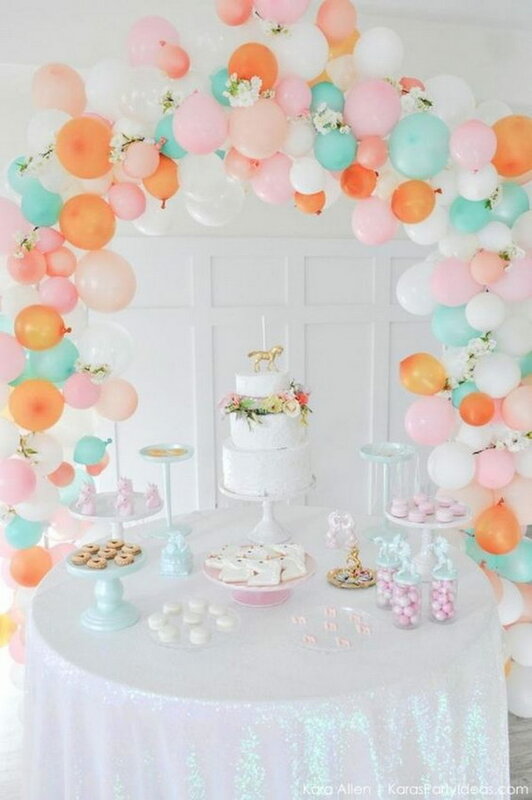 This arch is perfect for a birthday celebration or a baby shower. This beautiful and breathtaking arch is nothing short of a dream come true. It is definitely a must for your wedding backdrop. With its soft coloured balloons and intricately woven flowers it is nothing short of WOW! Get DIY instructions via designdazzle. This vibrant arch with a huge diameter is the best choice for an eye catching entrance. And the addition of flowers makes it all the more sophisticated and beautiful. Whether it is a bridal shower, an engagement party or a wedding this arch will definitely make your day! thehousethatlarsbuilt. This beautiful whimsical pink to white ombre arch is definitely what you can classify as classy. With different shades of pink and white flowers, balloons and frills this arch is a wedding highlight. 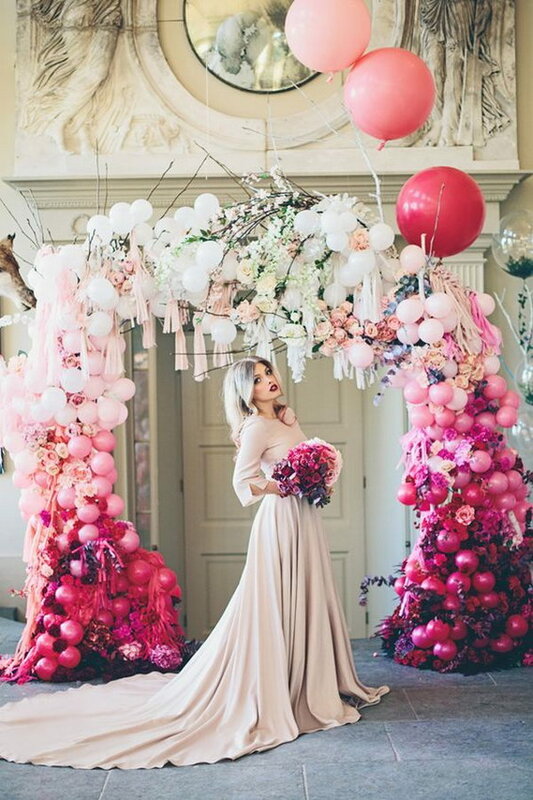 Nothing can work better as a fairytale backdrop in your wedding photos than this dreamy balloon arch. Are you looking for a classic black and white decor? This black and white themed arch with steamers is the answer to your prayers. This arch with halogen balloons gives the area a classy look and is so far the best decorative addition in this category. If black is your colour then this arch is definitely for you! Looking for a birthday party decor for your little girl? Well this Minnie mouse inspired balloon arch fits perfectly in the category of a Disney day dream. 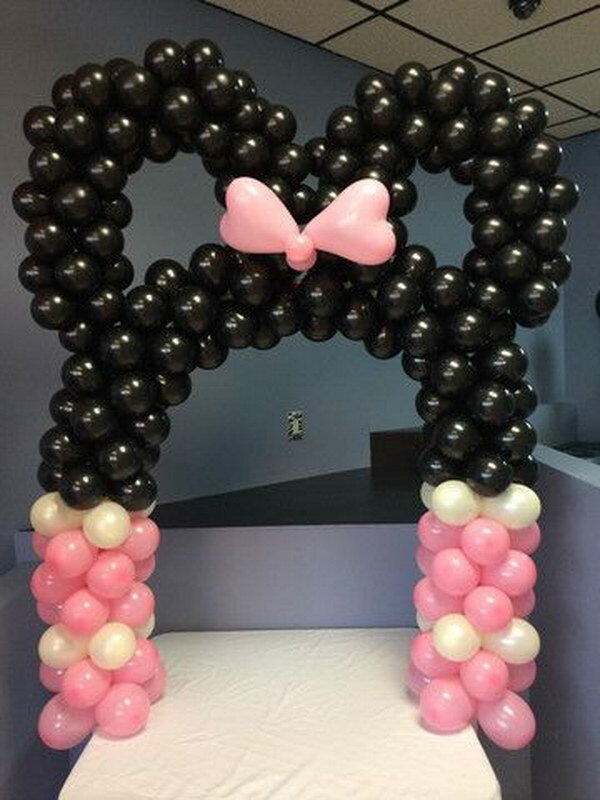 With black and pink balloons arranged in intricate whorls this arch will definitely light up your toddler’s face! This beautiful blue and black moustache arch is perfect for your soon to arrive baby boy’s shower. 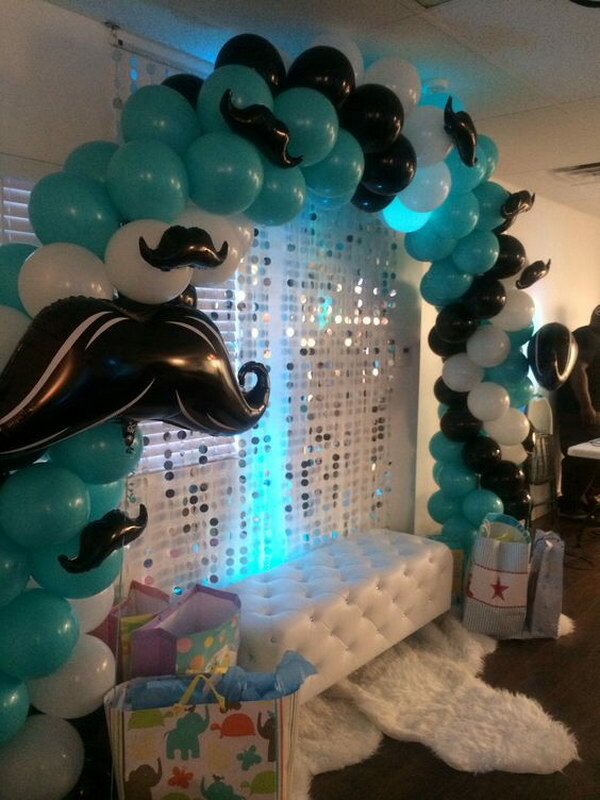 With intricately woven blue and black round balloons along with moustache shaped balloons in various sizes, this arch is the perfect backdrop for your little man’s pre arrival party. 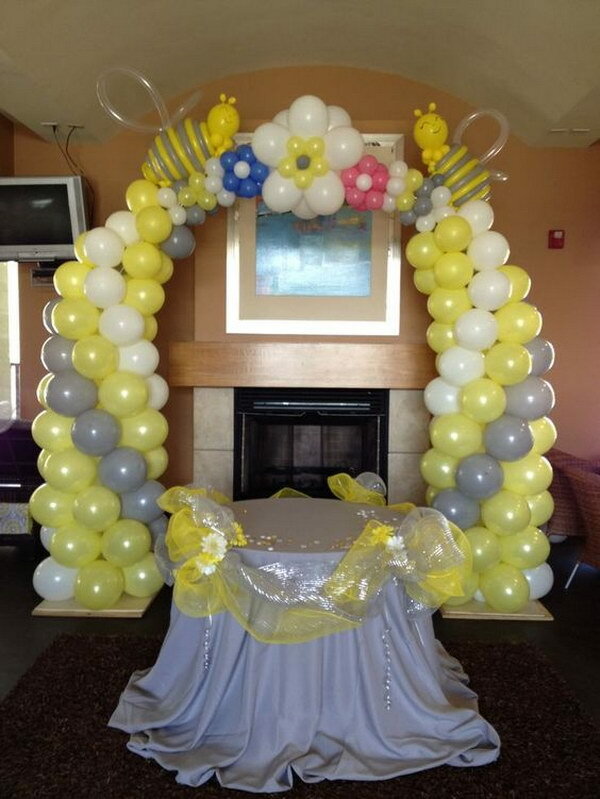 This grey and yellow bee themed DIY arch is a brilliant idea for your baby shower. With balloons woven in the shape of flowers, bee shaped balloons on the top and frills, this arch is definitely a must for your little girl’s pre arrival shower. 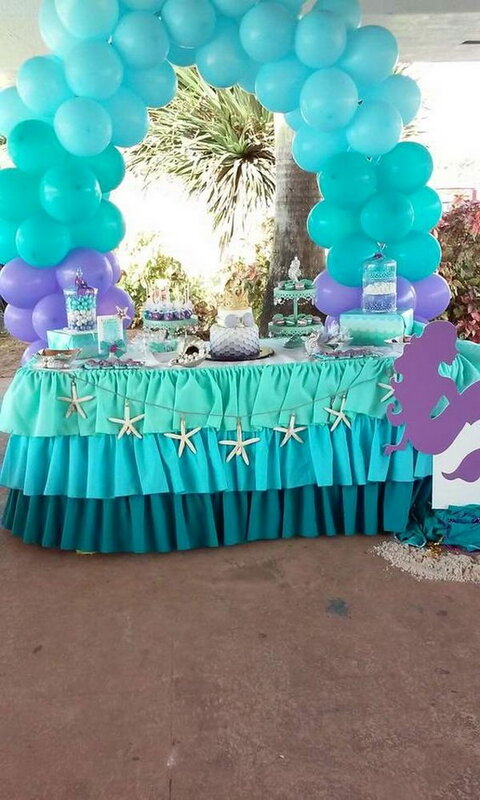 Want a sea themed birthday party party for your toddler? Well we have the perfect idea for you. This little mermaid under the sea balloon arch is definitely enough to brighten your kid’s day. 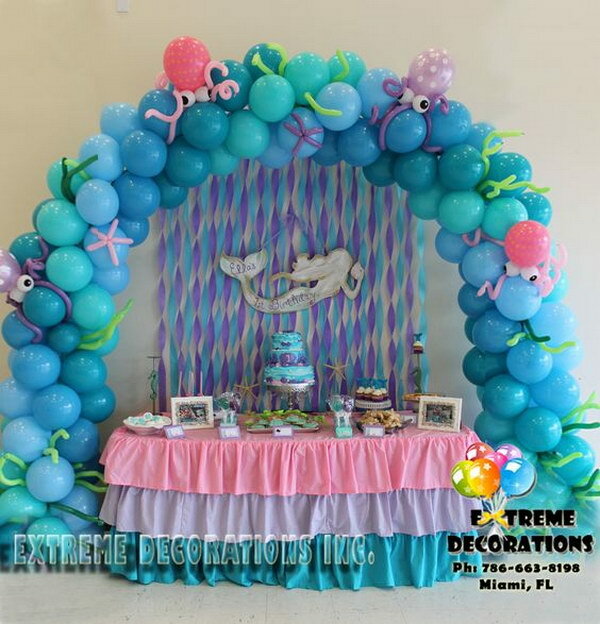 With sea shaped balloon characters decorating the arch it is a must installment at your mermaid loving kid’s birthday. 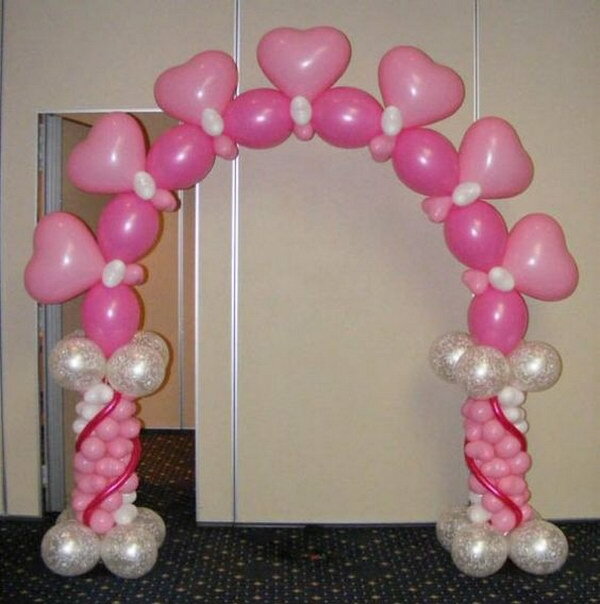 This eye catching balloon arch is fabulous to look at and easy to make. With its silver balloons woven intricately into a star shaped arch, it is definitely the perfect entrance arch or photo booth backdrop for your birthday, anniversary or any other close to heart event. shindigz. 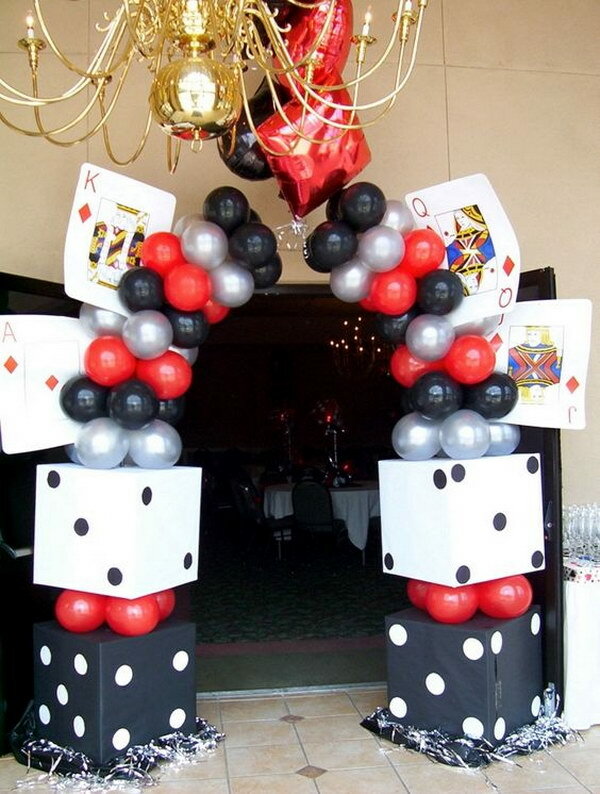 This red, black and white arch with huge dice and card shaped props is the perfect entrance for a casino themed party. 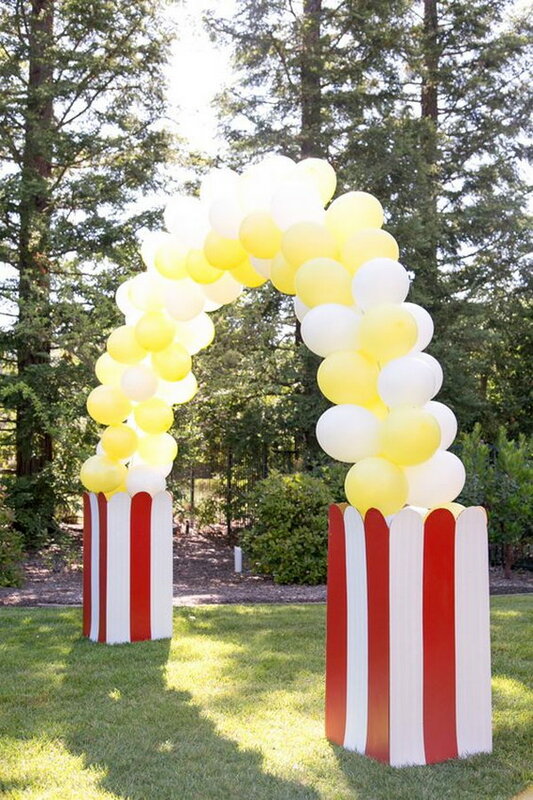 Knotted in the centre with helium balloons this arch is a must for your rock and roll party! 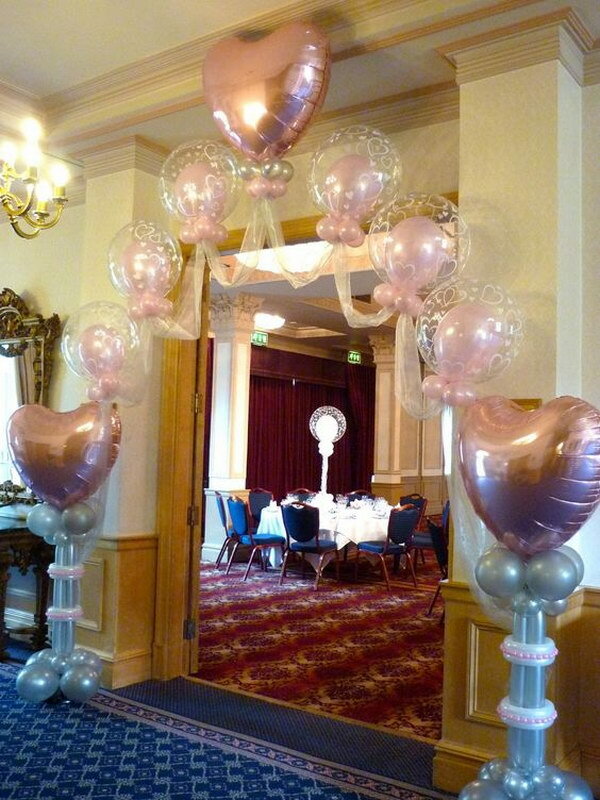 This arch endowed with pastel coloured balloons and flowers is perfect for a pastel colour theme party. Whether it is a birthday party,an engagement party or a bridal shower this arch will fit perfectly in the subtle and sublime celebration atmosphere. Want to give a surprise party to your Valentine? Well this arch is exactly what you need. This beautiful arch supporting heart shaped balloon will definitely put your partner under the spell. balloonsdelivered. 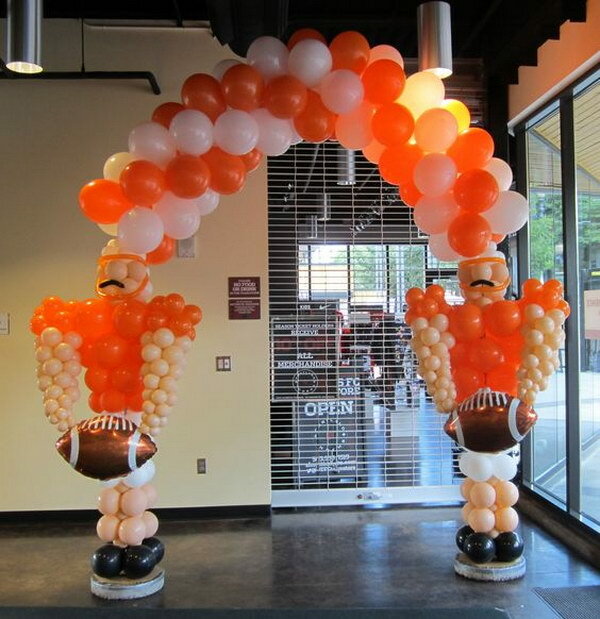 This arch with swollen football shaped balloons at its ends is perfect for the party of a football fanatic. Although it is a little complicated to make, but it is definitely a worth it shot. This easy to make beautiful arch will light up the whole ambiance at your baby shower. 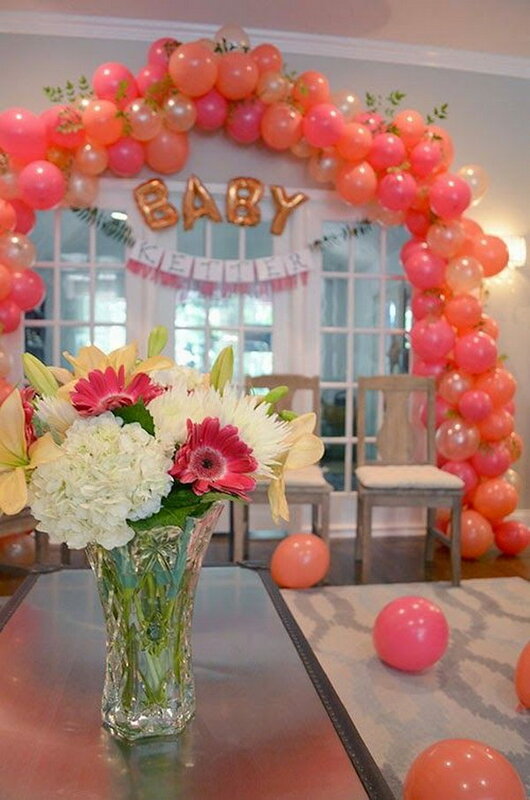 With leaves and flowers embedded in it along with the balloons, this ‘Ready to pop’ baby shower balloon arch is indeed a sight! 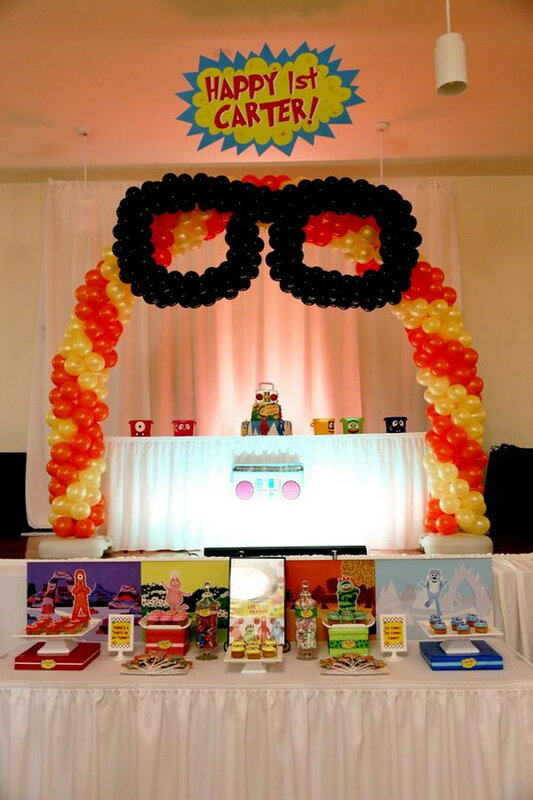 For your kid’s First birthday this Yo Gabba Gabba themed arch to be placed over the Desert table is a perfect installment. This beautiful red and yellow arch with a balloon made spectacle frame in the centre is surely a ticket to your kid’s smile! Is your little girl in love with Mermaid? Well then this Mermaid inspired arch in blue and purple, with sea themed props is the perfect decoration for her birthday! This beautiful heart balloon wedding arch in light goldens is definitely a fairytale sight for your wedding! Your big day can surely make use of this beauty, to add a sublime texture to your wedding decorations. 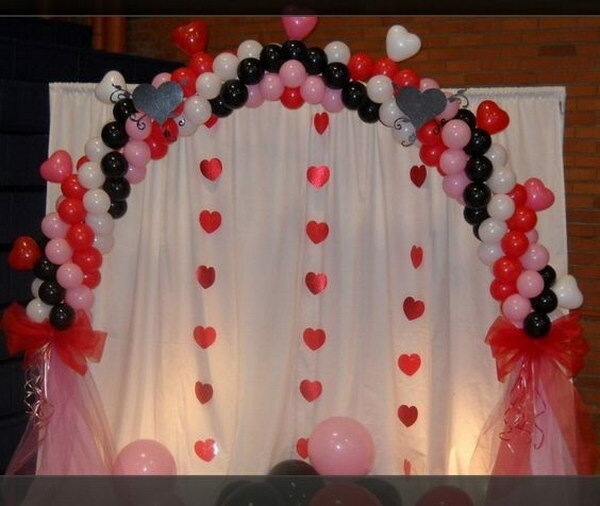 Surprise your Valentine with this perfect red, white and black balloon arch and sweep them of their feet! I love, love, love your presentations”…………I have to have a party just so I can use one of these.